Should We Hire Obama As Our New Copy Editor? 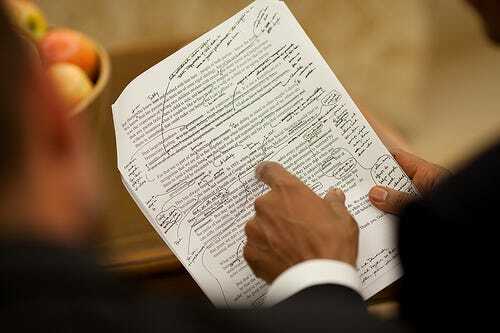 We saw this picture of President Barack Obama’s heavily edited speech on health care in preparation for his September address to Congress and knew he’d make a good editor. Or maybe we should give his head speechwriter Jon Favreau a call.